This collection of resources chronicles the Catholic Church’s journey of dialogue with other religions, a journey that began with the Second Vatican Council of the 1960s. Featured here are interfaith stories, theological reflections, and official Vatican documents. 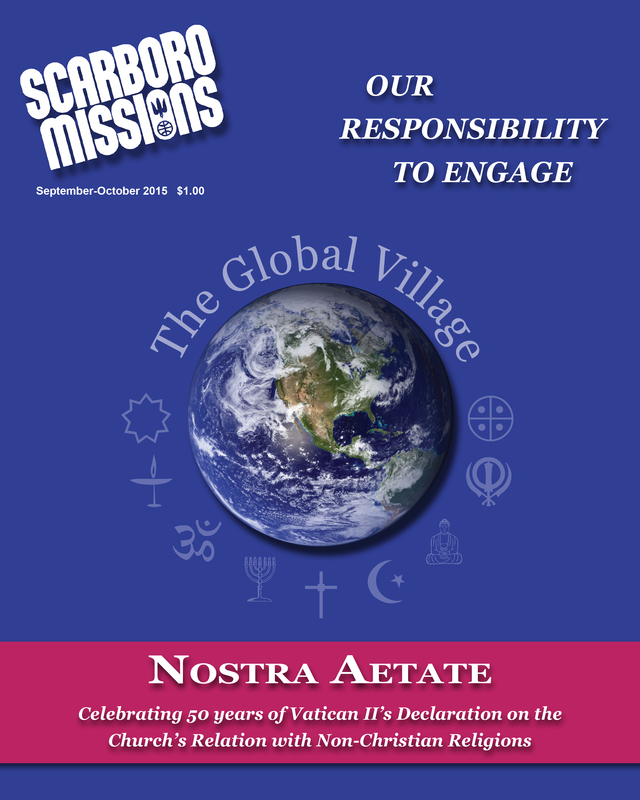 Also included are photos and articles detailing the interfaith journey of Scarboro Missions. In the last four decades, Catholics and Protestants have been seriously rethinking their attitudes towards non-Christian religions. 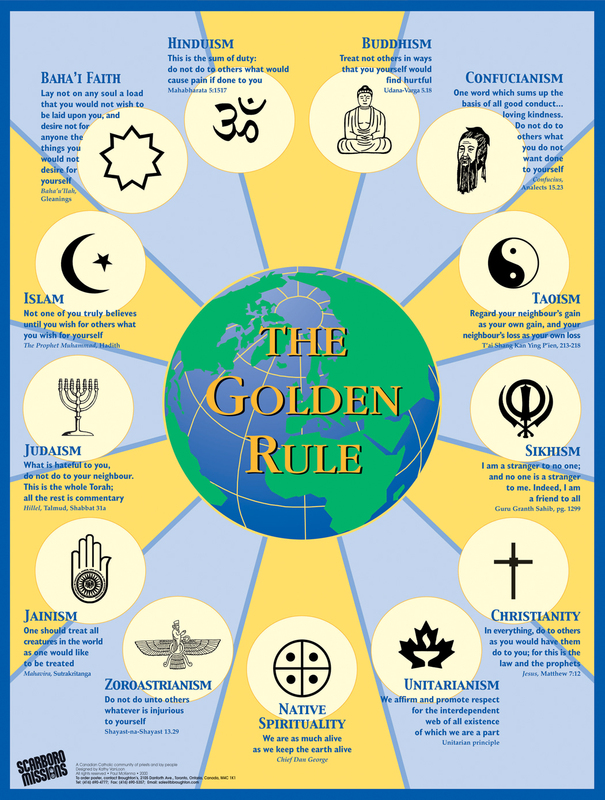 And the Second Vatican Council is now seen as a watershed event in this new openness toward Jews, Muslims, Buddhists, Hindus, Aboriginals and others. Indeed, the Church has come to recognize and respect the presence of grace, truth and holiness in other religions. 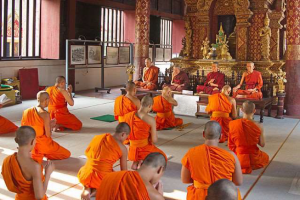 But more than this, the Church realizes it stands to benefit from dialogue with other spiritual traditions. This conviction is best capsulized in the words of John Paul II: "By dialogue, we let God be present in our midst, for as we open ourselves to one another, we open ourselves to God." This article profiles the courageous interfaith initiatives of the last four popes as the Church journeys through the uncharted territory of interfaith dialogue. What is particularly striking here are the interfaith breakthroughs engineered by Pope John Paul II. 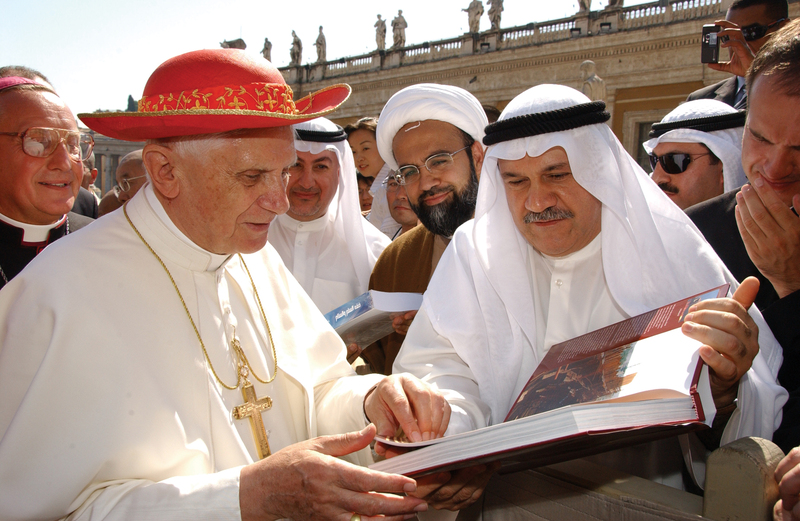 Read this article from the Jan-Feb 2007 issue "Popes lead the way"
John Paul II was one of the most influential interfaith figures of the twentieth century. His commitment to dialogue, his extensive global travel and his acute awareness of our interdependent lives in the global village made him a significant force in the international interfaith movement. This article offers a chronological profile of the interfaith journey of Pope John Paul II from his election to the papacy in 1978 until his death in 2005. To read article, click here. 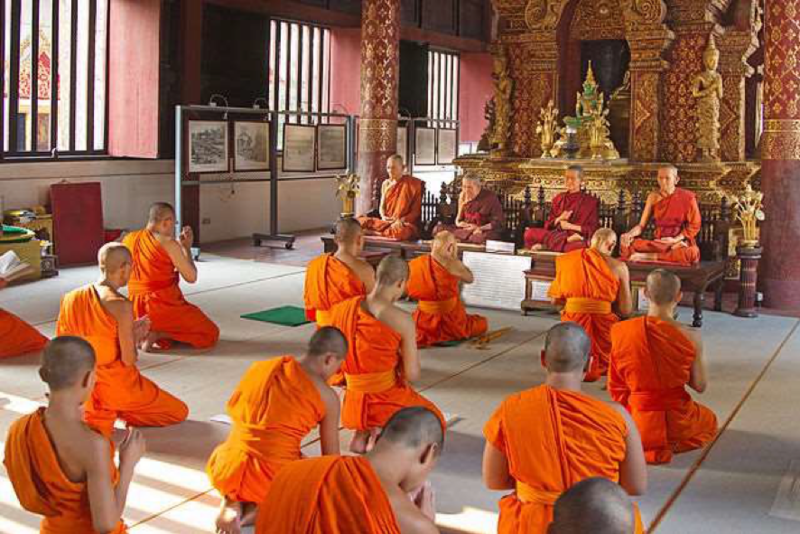 Former Scarboro lay members Mary Olenick and Susan Keays in dialogue with Buddhists in Thailand. to promote the formation of persons dedicated to interfaith dialogue. This listing features official Church documents on interfaith dialogue that have been published during and since the era of the Second Vatican Council. Included here are papal encyclicals as well as documents produced by the Pontifical Council for Interreligious Dialogue, by Bishops' Conferences and by Congregations within the Vatican (e.g. the Congregation for the Doctrine of the Faith). To read listing, click here. Pope Benedict XVI with Muslim leaders at the Vatican. 2006. Interfaith Dialogue: An interview with Ovey. N. Mohammed S.J. This document chronicles, on a year-by-year basis, the dramatic advances in Catholic-Jewish dialogue since the Second Vatican Council. This detailed profile of significant changes and developments in Catholic-Jewish relations will be very useful to teachers, students, researchers, historians, interfaith practicioners and others. This document can be downloaded free of charge and is available in English and French. 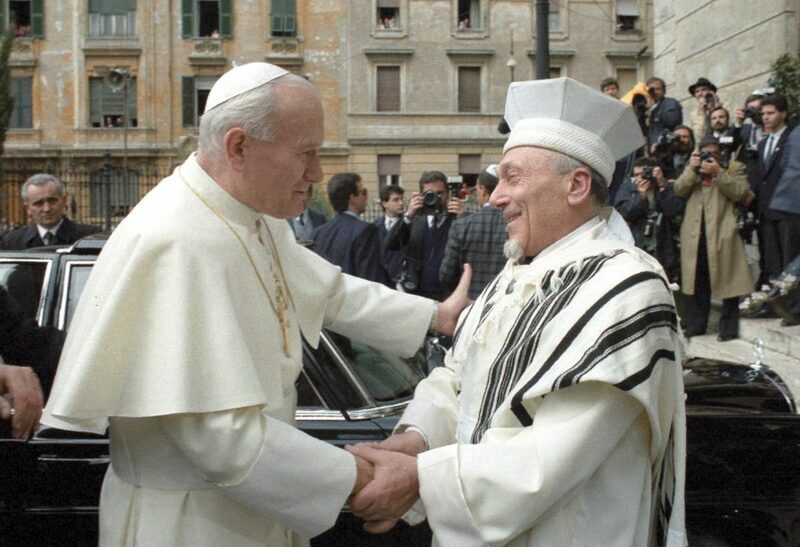 This important Vatican Commission promotes enhanced relations between the Church and Judaism. The Commission's website outlines the history of the commission and contains links to numerous official documents produced by the Church and the international Jewish community. To visit the website, click here. Featured here are biographies of 30 leaders in the field of Jewish-Christian dialogue – 15 of the individuals profiled are Jewish and 15 are Christian. The biographies feature “pioneers” who were highly active during the Vatican II period as well those who are contemporary voices. US Bishops and the World Sikh Council (America Region) meet in New York for the first Catholic-Sikh national consultation in US history. (2006) The Vatican was represented by Monsignor Felix Machado (third from right, back row), Under-Secretary of the Pontifical Council for Interreligious Dialogue. Visitors to a Sikh temple must remove their shoes and wear a head covering as a sign of respect for God. This committee of bishops and ecumenical experts promotes the ecumenical and interfaith efforts of the Catholic Church in the United States. The committee's website contains a wealth of resources as well as numerous links to important documents featuring the Catholic Church's dialogue with other religions in the United States and around the world. To visit the website, click here. We commit ourselves to pardon each other's errors and prejudices of the past and present, and to support one another in the common struggle against egoism and abuses, hatred and violence, and in order to learn from the past that peace without justice is not true peace. In 2011, this 5-page document was jointly published by the the Pontifical Council for Interreligious Dialogue (Vatican), the World Council of Churches and the World Evangelical Alliance. Together, these bodies represent 90 percent of the world’s Christians. The purpose of the document is to address practical issues associated with Christian witness in a multi-religious world. The document encourages churches, church councils and mission agencies to reflect on their current practices and to use the recommendations in the document to prepare their own guidelines for their witness and mission among peoples of different religions and among those who do not profess any particular religion. To read or download the entire document, click here. Catholic-Muslim Youth Dialogue Project. Toronto, Canada. 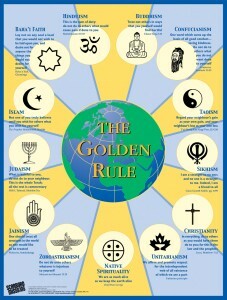 How do Christians understand other religions? In an excellent paper entitled, Thinking Theologically about Other Religions: Christian Theologies of Religions, American theologian, David R. Brockman, does two things. He, first of all, surveys Church history to enlighten us as to how Christians have addressed the issue of other religions in the past; and, second, he provides a wonderful outline of how modern Christian theologians are wrestling with this challenging question. To view or download this paper, click here. "It [dialogue] means not only discussion, but also includes all positive and constructive interreligious relations with individuals and communities of other faiths which are directed at mutual understanding and enrichment." the dialogue of religious experience where Christians and others share with each other their experiences of searching for the Absolute. Below please find links to various interfaith editions of Scarboro magazine. These magazine issues chronicle growing Catholic involvement in interfaith work around the world, a development that began with the Second Vatican Council of the 1960s. Also featured here are papal interfaith initiatives as well as the interfaith work of Scarboro Missions.